British clothing has varied thorughout the country's history, and has been influenced by foreign invasions and a changing industrial landscape. The clothes have ranged from the cheap and practical to extraordinary and impractical. 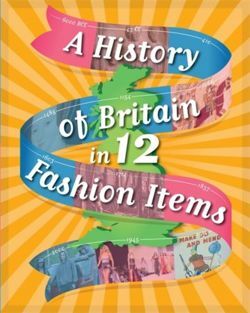 From the Iron Age torc to the 21st Century hoodie, this fascinating book explores British history through the clothes Britons have worn. 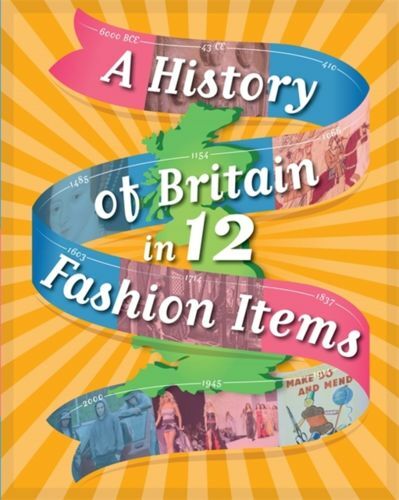 The book is part of 'A history of Britain in 12 ...', a series which examines 12 items that are key to British history from the Stone Age to present day. The series helps students understand chronology and the idea of continuity and change. By focusing on different objects, it also encourages the reader to understand how our knowledge of the past is constructed from a range of sources and to gain knowledge of the methods of historical enquiry.